Not long ago, we partook of (for blog reasearch purposes only of course) a few glases of Agriverde red wine and it was fantastic! Also, no waking up the next morning to a banging headache or that crummy feeling that makes you regret every single sip from the night before. Shades of our trip to Italy several years ago when we drank wine with dinner every evening and woke up bright eyed and clear as a proverbial bell that next day. Tip: Always order the house wine whilst in Italy. Also, unless you’re taking your Valentine out to dinner in Italy this February 14th, I’d suggest booking something after VDay, which if we’re being really honest here, is probably 2nd only to New Year’s Eve as the worst possible to go out on any kind of date. The secret to our Italian-esque vino experience on Atwells Ave (at none other than Zooma…we’re still in awe of their wine preservation system behind the bar by the way, two words ~ perfect pour) is in how that particular wine is made. We were shocked - or shook , as the kids are saying these days - to learn from our bartender that as a rule, during the clarifying process (also known as fining) things like egg whites, milk proteins, gelatine, and fish bladder (the perfect time to use the puke emoji if I were typing this from my phone) are used to make wines clearer, brighter, and less bitter. (And maybe you thought it was just grapes and some fancy foot work, as seen in the I Love Lucy rerun where Lucy visits Italy and somehow ends up stomping grapes at a vineyard.) Our wine was not processed that way because it was…. (wait for it) VEGAN. Tip: Next time you’re at Zooma, add their Margherita pizza and some fries to your wine situation. Maybe for that after VDay night out on town? So you might think that vegan wine is something you’d overhear people comparing notes on in either the produce aisle at Whole Foods or at the winter farmers market in Pawtucket. But no - it’s now trending and probably only going to get bigger in terms of demand and popularity. Everyone from Forbes and Wine Ethusiast magazine was talking about it last year, and big box giants like Target are now making room fir it on their shelves too! 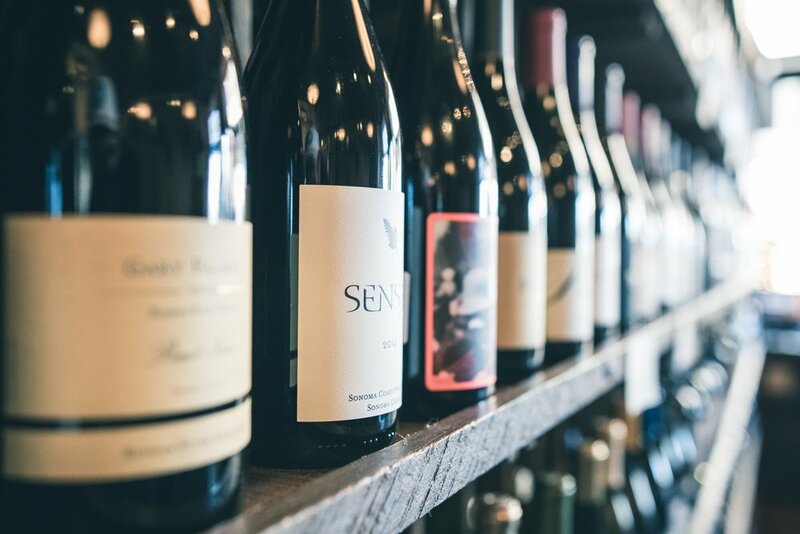 If you’re interested in giving it a whirl (or more aptly, a swirl in your wine glass), a good place to start in addition to Zooma, would definitely be Barnivore, a site that specializes in plant-based vino, bear, and other liquors. In addition, familiar names like Sutter Home, Moet & Chandon Champagne, and Bellissima Prosecco (Christie Brinkley’s line of eco-conscious, 100% organic Prosecco and sparkling wines) all offer vegan wines and spirits. Tip: Whatever wine you’re indulging in, always strive to hold the stem part of the glass and not the bowl - because your hand raises the temp of the wine. *This post has been revised and updated from one that appeared on the site in 2018.